"Sir Mark, is the new Samsung Galaxy S8 notably bigger than my Samsung Galaxy S7 Edge?" "Given that Samsung Galaxy S8+ has a 6.2-inch screen and that the S7 Edge only has a 5.5-inch display, I'm sure that the new phablet has a far larger footprint than the old one. Can you confirm that, Mark?" "My SGS7Edge fits in my pocket perfectly. I understand that the Samsung Galaxy S8 has a bigger screen than my current phone -- so I'm afraid it might not fit my pocket just as well. Is that right?" These are just some of the many 'size related' questions that I got from friends and readers as soon as I arrived home from the Samsung Unpacked event at The City of Dreams Manila last March 29, 2017 where the company officially announced its two new flagship Android smartphones. Well, thankfully, Samsung Galaxy S7 Edge is one of my currently daily drivers and I had it with me during Samsung Unpacked, allowing me to snap these shots. I know a picture paints a thousand words so I'll let these size comparison photos speak for themselves. 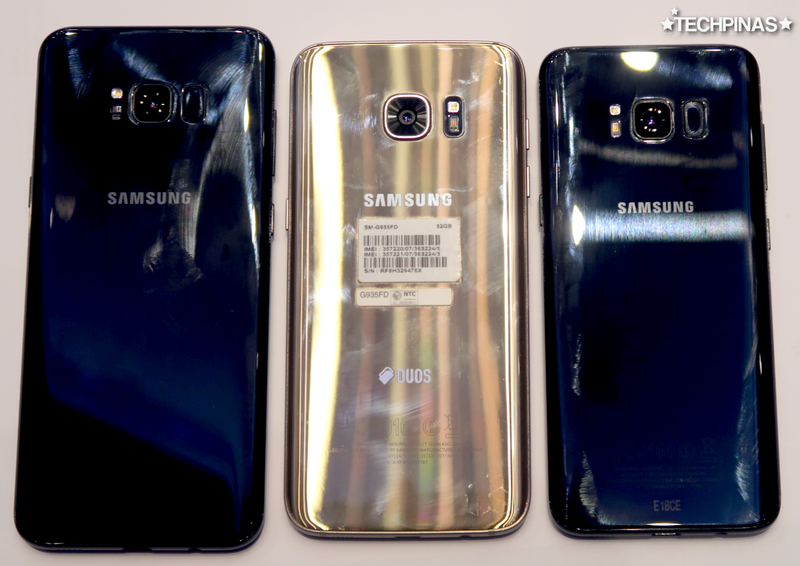 (L-R) 6.2-inch Samsung Galaxy S8+, 5.5-inch Samsung Galaxy S7 Edge, and 5.8-inch Samsung Galaxy S8. 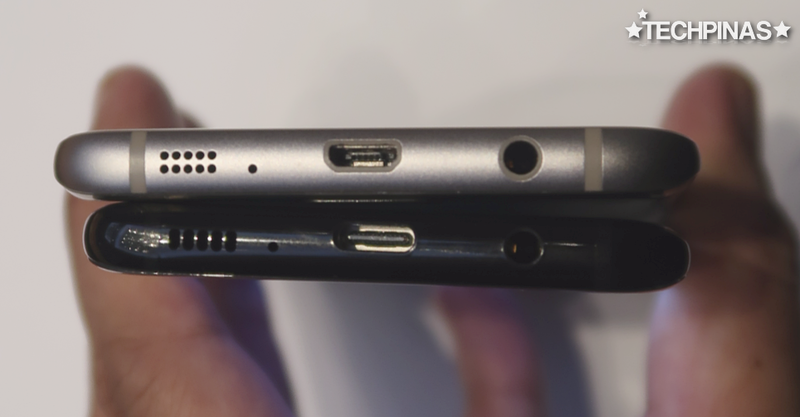 SGS8+ is taller, wider, thicker, and heavier than the SGS7Edge. But that's to be expected. What we should note is that despite the sheer screen size difference, the phablets' footprints are still somehow comparable or not that far from each other. 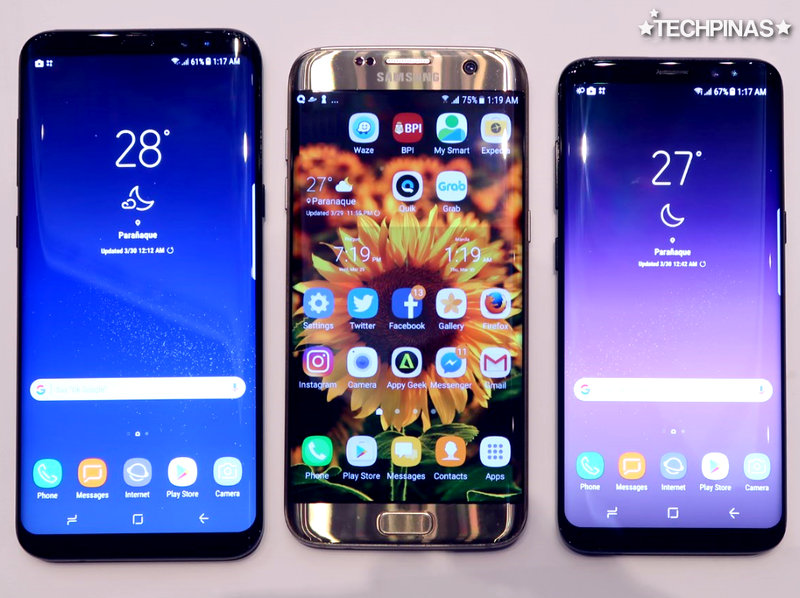 Amazingly, although it has a larger 5.8-inch display versus just 5.5-inch screen on the SGS7Edge, the new Samsung Galaxy S8 is actually smaller, slimmer, and lighter than its predecessor. Sure, the 2017 release is thicker but it's barely noticeable. 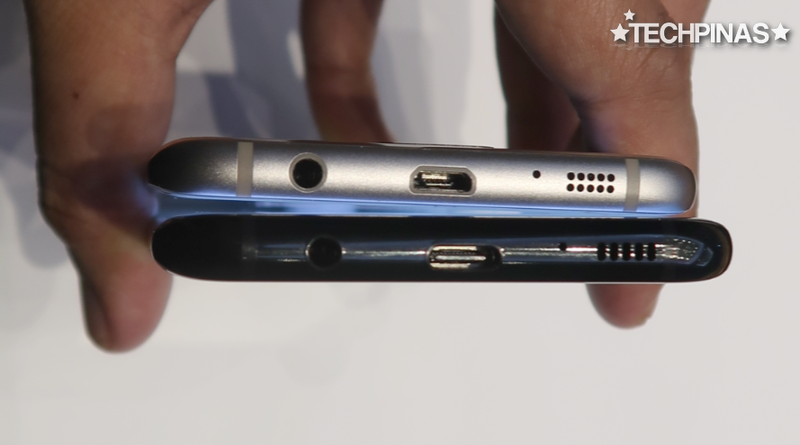 So how was Samsung able to make the new flagship models relatively small despite having massive screens? Well, they used a new display resolution of 1440 x 2960 pixels, which is taller than 1440 x 2560 pixels resolution of the SGS7Edge, and removed the physical home button in front. This allowed the new screens to 'eat into' the previously unused space in the top and bottom bezels of the phone. Together, these elements are the foundation of Samsung's new Infinity Display feature.